I was born on the history drenched island of Malta. My early schooling began at the Franciscan Monastery of St. Theresa where I was tutored in European history, Latin, fine art and art restoration. 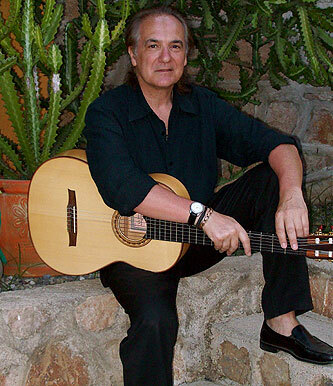 Ive been immersed in music since early childhood and mastered the techniques and nuances of Flamenco guitar while in Spain for 12 years under the auspices of Pepe Habichuela and other gypsy masters. I have toured Europe and North America as a soloist and as a music director for several flamenco dance companies. I am also a founder of the acclaimed Toronto based dance company Ritmo Flamenco Dance & Music Ensemble. With my group Ive performed for prime ministers, dignitaries as well as an assortment of celebrities including Russell Crowe and Sting. 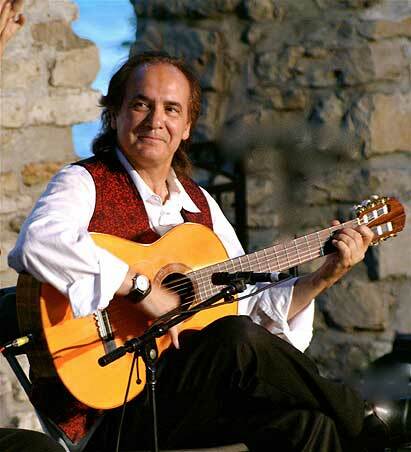 Im a tutor of flamenco guitar and a faculty member of the York University music department. My repertoire consists of 5 CD's of original music all of which have been received with critical praise. I am the recipient of the prestigious Toronto Arts Award for composition and have composed music for award winning documentaries on TVO (Expulsion & Memory) as well as for film. I just released my is sixth disc titled Noche Flamenca, an homage to Jerez, Spain and the improvised evenings that take place at flamenco gatherings. It is also symbolic of the nomadic life of the gypsies and the importance of family which gives their life continuity. 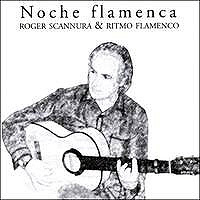 This is my most soulful disc to date however, the opening title "Noche Flamenca' starts the album on a note of intensity with the raging compass of the hard driven Bulerias. Burning Bridges is a rumba played in the key of the flamenco Taranta which gives this cut a deep Arabic flavor. Leyena y Sola (Soleares) is the root of expression in flamenco and encompasses a wide berth of playing styles. En Malaga is a live cut from a recent tablao-style performance with dynamic castanet and violin accompaniment. I dedicated several pieces to his family members like Santuario por Manuel and El Surco flamenco dancer daughter, Anjelica. Accompanying me on the disc are Laurence Stevenson playing melodic counterpoint on fiddle and mandola, and my wife Valeria on palmas and castanets. All of my guitars are flamenco guitars. My main guitar was custom made by William Laskin in 1987. It is made of Cypress wood aged 30 years and has ebony tuning keys. I also have another custom Laskin with an inlay of a candleabra and traditional tuning machines. The guitar also has the patented elbow rest. Another one of my special guitars is a Conde, given to me as a gift by Paco de Lucia. Paco de Lucia is my main influence and favorite guitarist. I also like the music of Vicente Amigo, Paco Pena, Sabicas and Manolo Sanlucar. Fuente y Caudal and Almoraima by Paco de Lucia are the two most influential albums in my music. Vicente Amigo's De Mi Corazon al Aire, Manolo Sanlucar's Tauromagia are also significant in inspiring and influencing my own compositions. I am busy touring and promoting Noche Flamenca in North America, Mexico and Europe. At the end of the tour, I have plans for a new solo CD with special emphasis and inspiration from Paco de Lucia.